Unscrew the lid of this innovative key fob container to reveal a folded rain poncho for those emergency occasions. 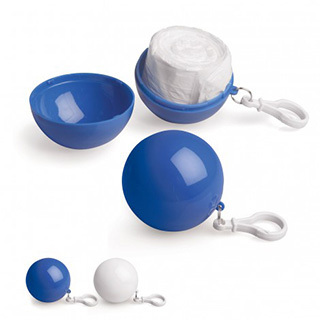 Printed on the ball with your corporate logo this clever design would make a great promotional gift. Spherical key fob contains an emergency rain poncho.